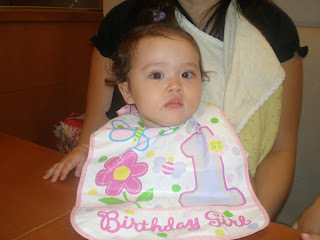 We celebrated Manna`s first year this past Monday. We went out to eat at Fujiya, as seems to be tradition. Manna had her first taste of icecream and got to watch the dancing Peko chan. Manna now walks very quickly and is getting quite difficult to keep up with. *whew Here we go again.